Through the Control Panel we provide, you can fully manage your site, email accounts and your databases. 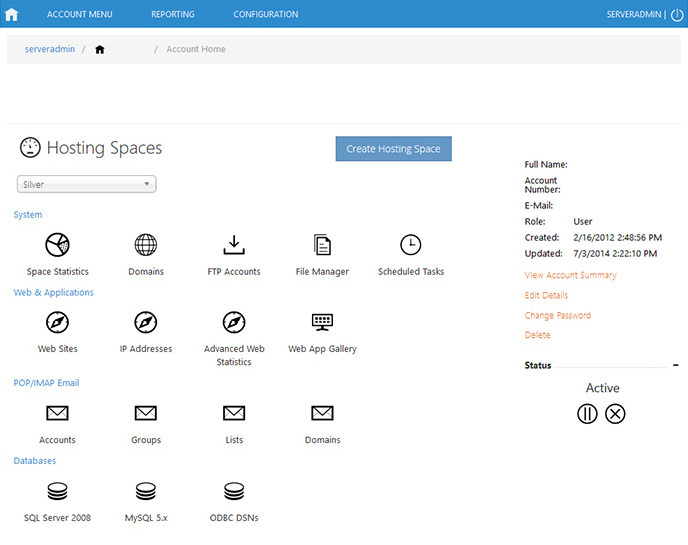 Through the Control Panel you can fully manage your site, email and your databases. You can also see statistics, which might help you improve traffic to your site. See control panel in operation. It is trusted by the largest web hosting companies and has support for VPS (Virtual Private Servers). It is very simple and easy to use without compromising any functionality. You can try it for yourself by doing a small tour with our demo account using the above link. Manage online, quickly and easily all your domains and SSL certificates, through the domain name management system. See some of the features of our mail server.